The organizers behind the online fundraiser for Dr. Christine Blasey Ford have posted an update from Ford herself, the first such update since she testified at Supreme Court justice Brett Kavanaugh’s nomination hearings nearly two months ago. Ford—who, The Cut notes, has kept a pretty low profile since testifying before the Senate Judiciary Committee that then-nominee Kavanaugh sexually assaulted her at a house party when they were both in high school—begins the GoFundMe update by thanking those who have supported her. 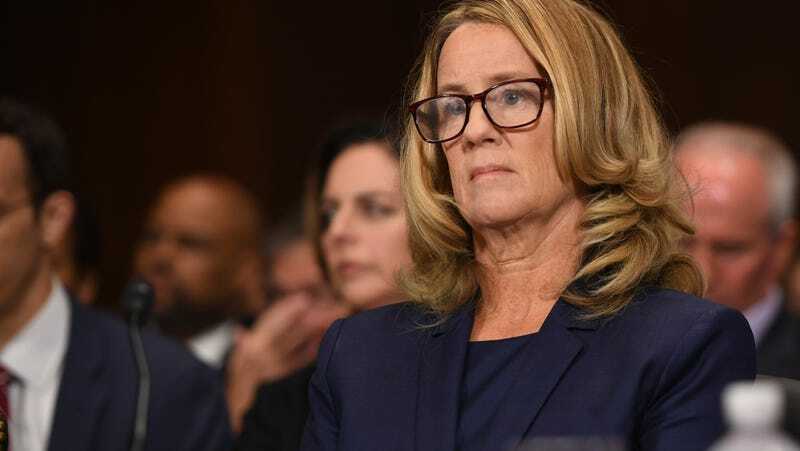 “Words are not adequate to thank all of you who supported me since I came forward to tell the Senate that I had been sexually assaulted by Brett Kavanaugh. Your tremendous outpouring of support and kind letters have made it possible for us to cope with the immeasurable stress, particularly the disruption to our safety and privacy. Because of your support, I feel hopeful that our lives will return to normal,” she writes.